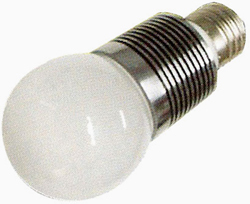 Standard medium screw based E27 JDR LED lamp features three 1-watt LEDs. It produces virtually no heat and uses minimal electricity. Cool white color.